You know the routine, you get up, you do your thing and you get going. Sometimes it can be fun and other times it can feel irksome, but in moments of self-reflection, you realize that no matter what, you can create something special if you understand your limits and work to improve on them, one at a time. It’s all about becoming more than a shadow of your former self. Sam Mendes is an English stage and film director, with an interesting track record. His first film American Beauty won him an Academy award for best director, a Golden Globe for best director, and 5 Oscars. He is also the director of 2012’s Skyfall, one of the best made 007 movies ever and the second best in Daniel Craig’s quartet, according to Rotten Tomatoes. So where does Spectre stack up? I would argue that it’s almost as good as Skyfall, but that was a difficult entry to follow up. But you know what this one did handle better? His female lead. But let’s get into the plot for a bit first. Bond (Daniel Craig) is in Mexico City during a Day of the Dead parade. He is following a man in a white suit and mask. After following the man named Marco Sciarra (Alessandro Cremona) to a building, Bond takes aim and listens in to their conversation about “the Pale King,” before he discover him and begin shooting. Bond disables two of the men and blows up the bomb there as well, which causes the building to collapse. Sciarra flees to a helicopter and Bond narrowly jumps on before it takes off. He eventually succeeds in kicking both Sciarra and the pilot out as well, but not before stealing a ring from Sciarra. A ring with a stylized octopus on it. Back in London, M (Ralph Fiennes) reprimands Bond for the fallout in Mexico and then grounds him. As Bond is about to leave, a man walks in and M introduces him as Max Denbigh (Andrew Scott) head of the Joint Intelligence Service, consisting of the recently merged MI5 and MI6. Bond gives him the nickname C. C has a vision of a program called “Nine Eyes “, a global surveillance and intelligence co-operation initiative between nine member states, and intends to use his position to shut down the ’00’ section, believing it to be outdated. Tanner (Rory Kinnear) takes Bond to meet with Q (Ben Whishaw), whom M has tasked with injecting Bond with ‘smart blood,’ so Bond can be located anywhere in the world by. Bond requests that Q make him disappear for 48 hours, and then steals a custom Aston Martin DB10 made for 009 and heads for Rome. Bond attends Sciarra’s funeral, because the recently deceased M (Judi Dench) knows he is a part of a larger organization which has been working behind the scenes, and killed her. Bond encounters Sciarra’s widow Lucia (Monica Belucci) and later visits her home to save her from hitmen. Lucia knows Bond killed her husband, but sleeps with him anyway, and then tells him about a meeting for Sciarra’s organization. Bond then crashes the meeting, where he finds out the leader is Franz Oberhauser (Christoph Waltz). Oberhauser appears to know Bond as well, and sends Mr. Hinx (Dave Bautista) after him. Moneypenny (Naomie Harris) informs Bond that the information he collected on the Pale King leads to Mr. White, who was part of Quantum. Bond asks for info on Oberhauser, who should be dead. Moneypenny’s investigation reveals that Oberhauser and his father died in an avalanche. Bond finds Mr. White (Jesper Christensen) in Austria – his house is a mess and he is dying from poison, likely from leaving Oberhauser. White will give Bond information on the organization, but only if he can protect White’s daughter, Dr. Madeline Swann (Lea Seydoux). Madeline can lead Bond to L’Americain. Bond passes his Walther PPK, so White can end his own suffering. When Bond finds Madeline, she does not want to go with him, but Hinx is there too and Bond is fortunately able to stop the villain. Bond brings Madeleine to meet with Q, who has done an analysis on the ring. Q reveals that all of Bond’s recent enemies (Mr.White, Sciarra, Le Chiffre, Dominic Greene, and Raoul Silva) are connected to Oberhauser and Madeline explains the group is Spectre. And that “L’Americain” is not a person but a place – A hotel in Tangiers, Morocco. Meanwhile in London, M learns Bond has left the country against his orders. And let’s stop that bullet for a second. Points of Interest: Skyfall was shot digitally, but Spectre reverted to the 35mm tradition. Daniel Craig’s favourite film, From Russia With Love, features a train fight – so does this film. 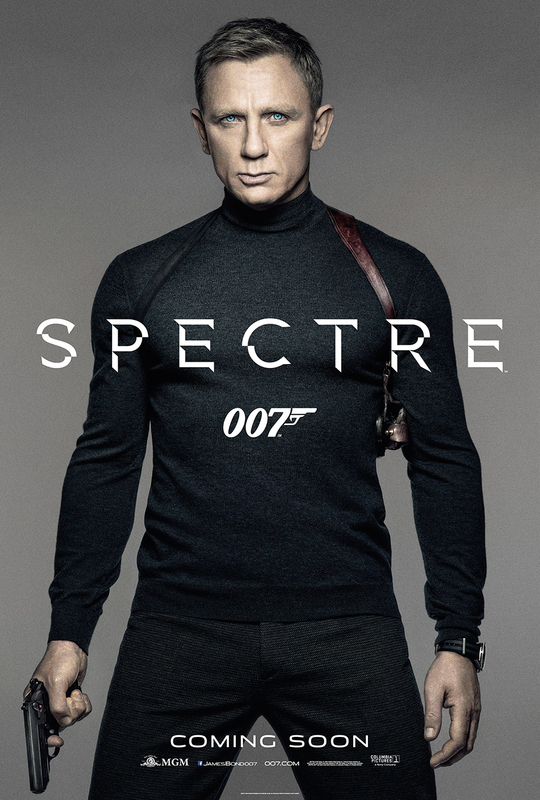 Spectre is a not a shadow of Skyfall, nor is does it loom over it either. It’s a piece of the puzzle in the much greater narrative that is the 007 franchise. What some people see as routine or attempting to please too many different kinds of fans is really just a recognition of what came before, so that Spectre can fit the Daniel Craig entries into the James Bond family, and he can then walk away or we can continue the exploration of Bond’s identity. By telling an origin story over a 4 movie arc (potentially more with Bond #25), Eon has managed to strengthen the story, rather than forcing us to consider these as reboots. But that’s just my theory! What do you think? Please leave some comments and if you enjoyed it, subscribe! Your feedback helps me know what is good and what is shadowy, at best.